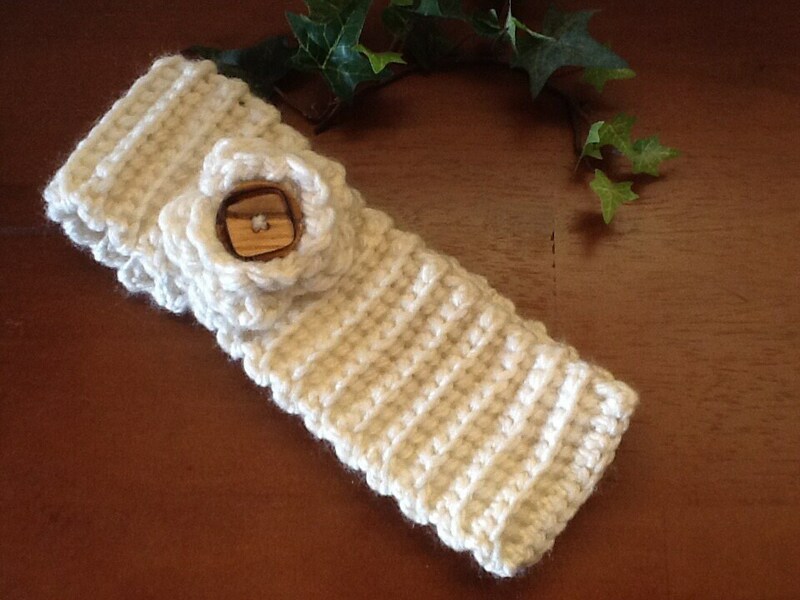 This crocheted Ear Warmer fits snugly over your ears to keep them warm in cold weather. It button in thee back, so you don't have to mess up your hairstyle! Comes with a button detail with a detachable flower. Ask about getting additional flowers to match your mood! Don't forget to order you Boot Cuffs and scarf to match!